Last week I took an L, but this week my curls bounced back! Have you ever had a few days, weeks, or months where you've just felt like you and your tresses were at odds? 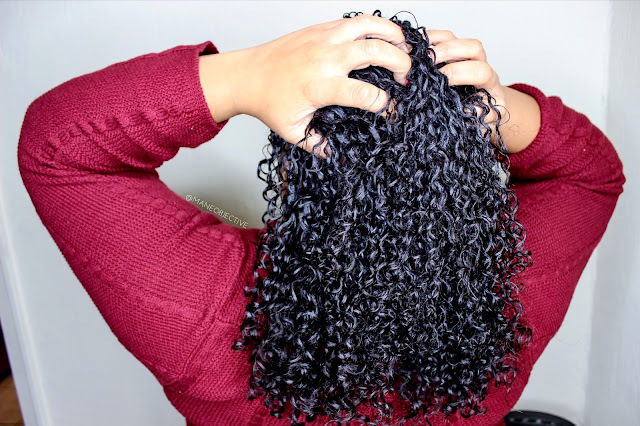 Where it seems like no matter what you do, your hair just won't get some ackrite - and you're about two seconds from booking an appointment at Juanita's Bump n' Curl because you're OVER natural hair, and a heat damaged silk press seems more and more like a good idea. That's exactly how my 2016 ended, and 2017 started. After two failed wash and go attempts (yes, they do happen to me still), I resigned to a week full of rinsing my hair in the shower, slapping in a leave-in and a few bobby pins, and vowing to try again tomorrow. Tomorrow finally came, and I'm finally feeling normal. I'm actually using Inahsi's Soothing Mint Clarifying Shampoo in this pic! Sometimes, the most simple solutions are the most powerful. If your hair is feeling crunchy post co-wash, stringy, grimy, and dull after styling, and your go-to styles just ain't poppin' - it might be time to shake up your wash day. If you co-wash frequently or use a lot of low lather cleansers, you could be suffering from product build-up that's weighing down your hair, preventing precious hydration, and throwing your style game out of whack. To remedy the situation and get your hair game back on track, pick up a clarifying shampoo that's strong enough to get up the goop and grime without frying your curls. My picks? Inahsi Naturals Soothing Mint Clarifying Shampoo and Be Kekoa Be Clair Clarifying Shampoo are the best ones. Henna: Love the results, hate the mess. I know, I know. You're a pretty responsible adult when it comes to this natural hair thing. Me too. 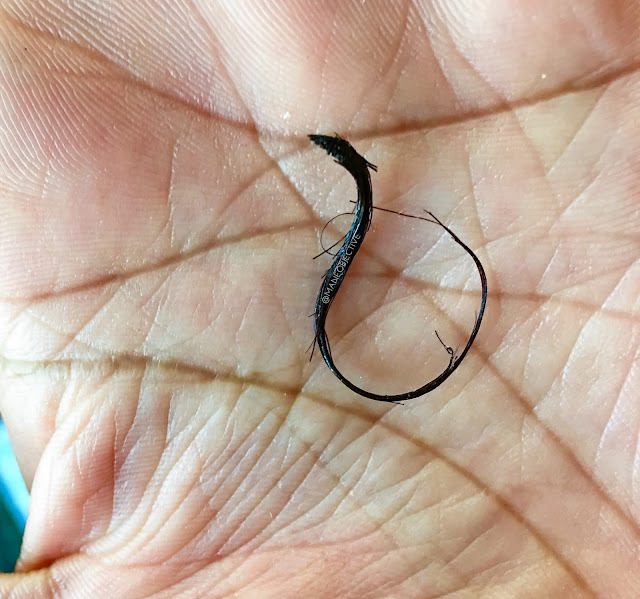 But every naturalista I've ever encountered has that one thing that their hair LOVES, but they can only muster up the patience (and desire to clean up the mess) only once in a blue moon. It might be an avocado-mayo-egg mashup, a pre-poo with special herbs that has to be steeped for 3 weeks under the sink - you catch my drift. For me, that thing is henna. I looooove henna - it just takes forever to use, rinse out, and clean up after. But the results pay for themselves weeks and weeks over after it's done in softness, shine, strength, and a pretty red tint. So when my hair starts looking and feeling a bit wonky, I know it's henna re-up time. I whip up my mix, and several hours later - my curls are looking and feeling like themselves again. Often times, we find ourselves in a hair slump or two, because we start swapping out products, or tweaking things in our wash and styling process, expecting the identical results that our holy grail products give. I've learned the hard way - that ain't how this natural hair thing works. I don't know about you, but I have specific products that have to be paired together to achieve specific results. I can't be concocting all willy nilly and expect flawless curl slayage at every turn. If you opened up my product stash right now, I could tell you exactly what products pair with what to achieve XYZ results. When I went outside of that - due to laziness (just using what was already in the bathroom), or getting to funky fresh with experimenting, my style results suffered. Reboot your hair by revisiting exactly what you know works. It might be boring, but the results won't fail you. Read More: Check out My Holy Grail Products of 2016! Confession: I'm terrible at estimating time. I'm a chronic underestimator. I always, always, always underbudget the time it takes me to wash and style my hair - and then I end up rushing (because 9 times out of 10, I've set my wash and style time right before something else I have to do - like work, go to church, or a meeting). And while my goal in 2017 is to do a more honest assessment of the time it takes me to do things, old habits die hard. So more often than I'm comfortable admitting, I don't take enough time to do my hair the right way. Sloppy start, sloppy finish, subpar results. If you've been rushing through wash and style time (note: there's a difference between efficiency and rushing), it might be time to slow down. Take your time, do it right - and move around some things in your schedule if necessary to do so. The time you took will surely show in the results - and help you bust out of that hair slump. 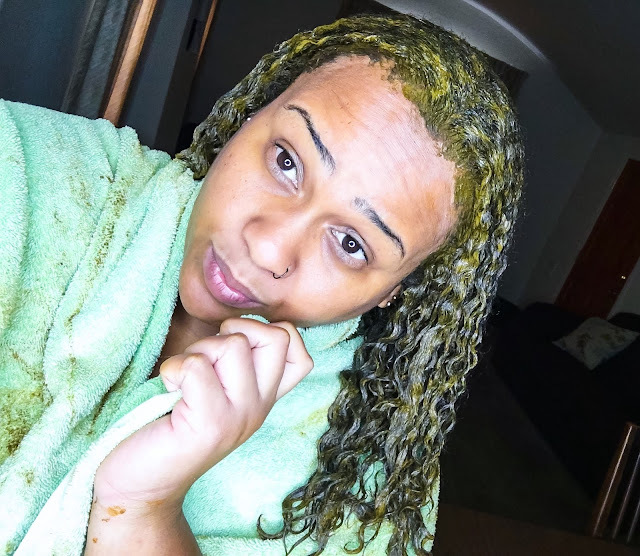 Okay, so you've clarified, deep conditioned, DIY'd, stuck to your tried and true, and took your time - and your hair is still looking and feeling a hot mess. Trust me, I was there too. At this time, desperate times call for decisive action. Scissor action. Ask yourself - when was the last time you had a good trim? How do your ends look? Any breakage? Splits? Super tapering? Your ends matter more to your style than you may think. Dead ends can make your hair appear thinner, to lack volume and body - not to mention, make your styles look jagged, fried, and tired. If you've exhausted all the other options, it just might be time for a trim. If you're a DIY naturalista, feel free to have at it yourself. If you'd rather trust a professional, see a stylist to have your trimming needs met. But just know - if your ends look like mine did in the pic above, that's what's holding your style back for sure. Snip them away, and watch your mane bounce back with a vengeance! 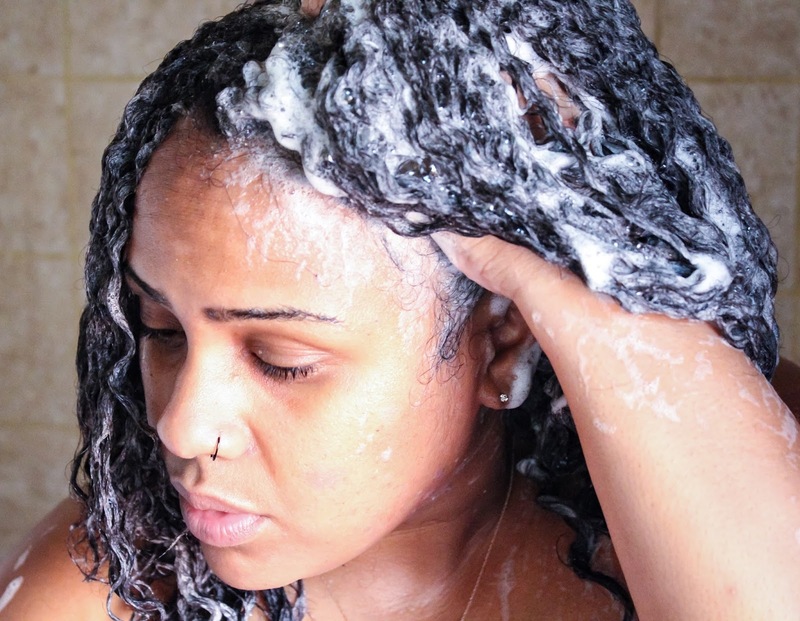 Have you ever been in a natural hair slump? What did you do to bust out of that rut? Share in the comments below - you just might be helping a fellow naturalista out! Christina!!!!! Thank you so much for sharing this. My hair has been so blah lately and I couldn't figured out why. I clarified my hair for the first time since being natural (3.5 years) and WOW what a difference. I really didn't know that I needed to clarify. Everything always says co-wash, co-wash, co-wash, and I assumed since I was using actual co-washes not just rinse out conditioner, and don't use oils/butters that I was good. NOT! The difference I see in my hair and I haven't even put the deep conditioner in yet is amazing. Keep up the great work. I love your blog and YouTuba channel. Christina, please bless us with a wash and go demo from start to finish. You are the wash and go queen and a sister needs to have a how to reference video like yesterday! What a great post! Your tips will help me because I have the same problem. I think I will try Inahsi Naturals Soothing Mint Clarifying Shampoo as you recommended.